The short sale process isn’t something to be intimidated by, but rather something to be embraced. Investors with a strong sense of how the short sale process timeline unfolds should have an advantage over those that, well, don’t. Buying a short sale property can be time consuming, but well worth the wait. The short sale process has become common practice for homeowners in less than perfect financial standing, and for good reason: it’s indicative of a borrower’s impending inability to pay down their mortgage. However, contrary to popular belief, short sales are anything but bad; they are simply associated with an unfortunate situation. In fact, you could argue short sales benefit everyone involved. The short sale process is, after all, specifically intended to help homeowners when they need it the most. Of course, no homeowner is happy to find themselves in the position to conduct a short sale, but the fact remains: short sales have proven beneficial to everyone involved. Homeowners no longer have to fear the looming threat of a foreclosure, banks are able to recoup some of the money they were initially promised at the time the mortgage contract was signed, and there’s a good chance the end-buyer will end up with a great deal. Low and behold, the short sale process is a blessing in disguise, and the following should clarify why. The short sale process timeline is at the mercy of a lot of bureaucratic “red tape,” and is therefore hard to pinpoint with any degree of certainty. If for nothing else, there are too many moving parts and decisions to be made for one to accurately estimate exactly how long a respective short sale will take. That said, short sales can take anywhere from one month to six months to complete, and there are numerous reasons the short sale process can be prolonged even further. To be clear, a short sale will most likely take longer to see to completion than a traditional sale for one simple reason: communication. Nearly every step in the short sale process requires the homeowner to communicate with the bank on one level or another. As such, there is a lot of back and forth, and even more waiting for things to be resolved. It could take as long as four months for the initial lender to even approve a short sale. You see, banks are only going to allow borrowers to conduct a short sale as a last resort, so they are going to mind due diligence and see to it that a short sale is the only logical choice to proceed. Lenders have no problem taking their time to make sure they are making the right choice, as there is a lot of money on the line. Only once they are certain a short sale is in their best interest will they move forward with the process. Unfortunately for sellers, that could be months down the road — and that’s just the beginning. Once a homeowner receives the green light, they are expected to sell the home themselves. With today’s inventory crunch, it’s safe to assume homes will sell faster than in recent history, but I digress. The housing market doesn’t exactly follow any rules. Earlier this year, homes lasted on the market for an average of 53 days, according to RedFin. Of course, they could sell fast, but then again, they may not. And remember, the time it takes to actually sell the house is in addition to the time spent seeking the bank’s approval in the first place. Best case scenario, the average homeowner is already looking at three to four months. After receiving an offer, the homeowner must have it approved by the lender before they can move forward, which will tack on more time to the short sale process. If they are lucky, the banks will simply accept the terms of the offer. However, there is a chance more negotiations will be necessary, further prolonging the process. The short sale process is, without a doubt, easier for buyers than it is for sellers. That said, buying a short sale coincides with a significant caveat: you aren’t negotiating solely with the homeowner, but rather the homeowner and their lender. Any offer submitted on a short sale must receive approval from the respective lender, which could make negotiations a bit longer and more difficult. Exercise Patience: Those that already understand the short sale process timeline are more than aware of how long it takes. However, as I already alluded to, the timetable for a short sale can be lengthy. Buyers should, therefore, exercise patience to the highest degree. Buying a short sale could take a long time, but the discount could very well be worth the wait. Don’t Submit A Lowball Offer: While short sales often come at a discount, now is not the time to lowball the seller. Remember, your offer needs to be approved by the bank for it to be accepted, and it’s safe to assume they won’t take anything less than what they believe they can get for it. Not only that, but there are likely to be multiple offers on every short sale in today’s market. If you submit a low offer, it’s more likely to be relegated to the trash bin than the top of the pile. Everyone who submits a higher offer will automatically have an advantage over you. Use Cash: Not unlike a traditional sale, cash will always be more appealing to sellers than using a traditional loan. In the event you are able to come up with cash, there’s a good chance the seller will favor your offer over those that aren’t cash. Perhaps more importantly, cash deals are a lot less likely to fall apart in the eleventh hour. The short sale process for sellers starts when they are officially made aware of their inherent lack of funds to cover their predetermined mortgage obligations. In other words, a homeowner’s impending inability to pay their principal and interest in full each month is a telltale sign that a short sale may be in order. It is worth noting, however, that short sales are the direct result of increasing hardships, and not a failure to make payments. That’s an important distinction to make, as short sales are voluntary; the homeowner will request a short sale if the burden of paying down their mortgage becomes too much. Those homeowners that actually miss payments will be subjected to foreclosure — an entirely different process, altogether. It is true what they say: the first step is admitting there is a problem, and short sales are no exception. Homeowners that find it difficult to keep up with mortgage payments must admit as much if they are to be considered a candidate for a short sale. However, there’s more to it than admittance; they will have to actually prove their hardships. That’s where step two comes in: proving to the lender that the payments are too hard to keep up with. In order to be considered for a short sale, homeowners must prove to their lenders —beyond the shadow of a doubt — that they can’t keep making payments at their current rate. Better yet, they need to come up with the appropriate financial documentation that suggests their current payments are incapable of continuing. It is up to the borrower to prove to their lender that they can’t keep making payments. It should go without saying, but lenders aren’t overly fond of the idea of conducting a short sale, which begs the question: Why would lenders even entertain the short sale process? Why are thy willing to let homeowners sell their home for less than they owe on the mortgage? The answer is simple: it’s better to recoup at least some of their money from a short sale than to risk the homeowner falling into foreclosure. Once the lender is convinced the homeowner can’t keep up with their payments, they may approve a short sale. When a short sale is approved, homeowners should consider hiring an agent who specializes in short sale transactions, as they will know how to navigate the process smoothly and efficiently. Provided they have done their job, the offers should come rolling in. However, short sales are anything but traditional. When homeowners receive an offer, they must submit it with certain documents to the lender to receive approval. “Each lender has specific document requirements for the short sale process once you have an offer, and your agent will communicate the process to you,” according to SF Gate. If the lender accepts the request, the homeowner may proceed like a traditional sale; if not, more negotiations may be necessary. Either way, the homeowner will have to work with the lender on landing on a specific offer. I want to make it abundantly clear: an agent isn’t necessary to sell a house via a short sale. It is entirely possible to conduct a short sale without enlisting the services of a professional agent, but I digress. Simply because you can, doesn’t mean you should. Perhaps even more importantly, the lender would appreciate the assistance of a real estate agent. That said, an agent can certainly help sell the home faster and for more money. A truly great agent, one that’s well-versed in the short sale process, can easily offset their cost with a higher sales price. The short sale process is misunderstood by those on the outside looking in, and even by those with closer affiliations to the industry. However, those unaware of how the short sale process transpires are doing themselves a severe disservice. If for nothing else, it’s those that know how the process plays out that are in the best position to take advantage of it. 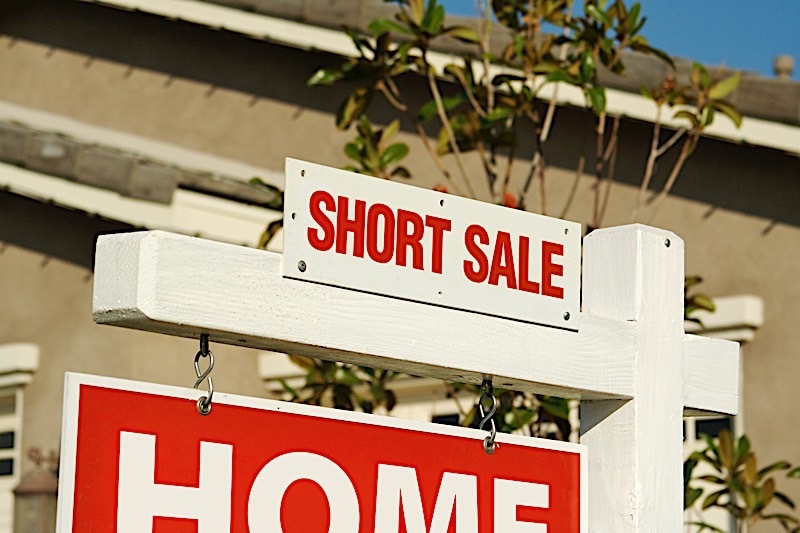 Have you ever wondered how the short sale process works? Have you ever wondered what it’s like to buy a short sale home? Please feel free to let us know how this primer helped you in the comments below, or if there is anything we left out that could be of assistance to you in the future.